Does Smash Need Rule Changes? 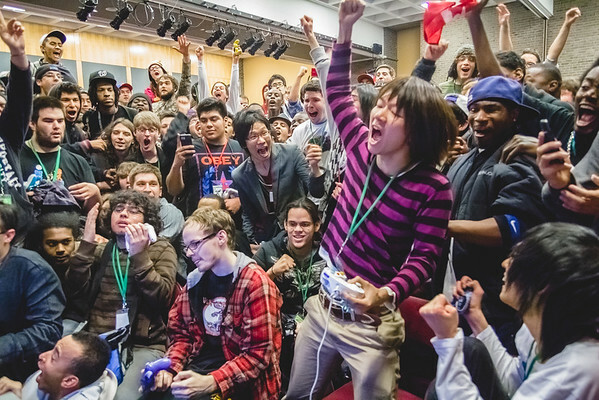 Apex 2012, one of the competitive Super Smash Bros community's biggest events ever, was supposed to bring back the hype and excitement that, according to many community members, had left the scene over the past couple of years. It certainly did just that – the event brought in over 700 unique Super Smash Bros Brawl and Super Smash Bros Melee players, as well as several hundred more individuals that entered Ultimate Marvel vs. Capcom 3, Super Street Fighter IV: Arcade Edition, Mortal Kombat, Super Smash Bros (for the Nintendo 64), and Pokemon. However, what Apex 2012 also did was cast a shadow of doubt across both of the major Smash communities. For Melee, this was due to the grand finals of the Melee singles competition. In the final match-up between two of the best players the game has ever seen, Armada of Sweden and Hungrybox of Florida, what was hoped to be a chaotic showdown of skill and merit became a slow match that progressed for more than an hour, an excruciating amount of time for any game that isn't Starcraft 2, League of Legends, or games of that nature. The hype was certainly there. This was because Hungrybox used Jigglypuff – while this isn't usually a problem, it was for Armada, who's character (Peach) has trouble dealing with Jigglypuff. Thus, Armada switched to Young Link, a projectile-based character, for grand finals, turning a hype match into a morbidly slow camp fest that lasted way too long than it should have. On the other hand, the Brawl community didn't have a problem with one particular match, but the result of the entire tournament itself. Some foreground: Apex 2012 marked the beginning of the end for the best character in Brawl, Metaknight. As of the end of the event, the American community banned the character from all tournaments using the “Unity Ruleset.” Any tournament part of that movement can not have Metaknight legal during competition, though non-Unity tournaments can still have the character legal if they so choose. Going into Apex, this didn't seem to be a problem. The pro-ban group was strong and growing in numbers, but then Apex came to a close with the 1st and 2nd place finishers being Japanese players. In Japan, the rule set is much different from the one found in the United States (heck, even the ones found in other parts of the world, as well). In Japan, Metaknight is legal, but also the timer is longer and most stages are banned from competitive play (on the other hand, the US allows over a dozen stages to be played on in some areas). The American community, seeing Japan's proficiency in the game, has now somewhat turned on its heel. Many players are now supporting the anti-ban movement, even some going as far as to advocate the US picking up the Japanese rule set for all tournaments, especially because many American players are now interested in attending Sun Rise, a tournament in Tokyo this August. The players definitely want to be prepared, no matter what it takes. Ocean was one of the many Japanese players to take down American greats like Mew2King. For Melee, some are advocating change to avoid slow game play For Brawl, players want to see change to stand up to the apparently superior Japanese players. But which side is right? Melee is certainly in a tough position here, especially because, besides from the grand finals, the entire tournament ran smoothly and matches were completed on time without any hassle. Grand finals seemed to be just a fluke. Though it is certainly reasonable that lowering the amount of lives, or “stocks”, each character has in a round (competitive Melee currently allots four stocks to each player per game) could create a better competitive experience, it doesn't seem like one match is enough proof to change a system that has been in place for around ten years or so. Then there's Brawl. Obviously if Nairo, the fifteen year-old Metaknight player from New Jersey who placed third in singles, had beaten out the top two Japanese players and took first place, there wouldn't be any discussion of unbanning Metaknight and mirroring the Japanese rule set But what happened, happened, and many players are certainly not ignoring this issue. It's certainly not a guarantee that non-Japanese players will get better just by adopting a new rule set or keeping Metaknight legal. And considering the American community just banned Metaknight, unbanning him immediately without properly evaluating how his ban would change the metagame of Brawl would be a very knee-jerk move. While it seems like the Melee community may not make any changes at all, attempts to change things are certainly breaking the surface in the Brawl community. 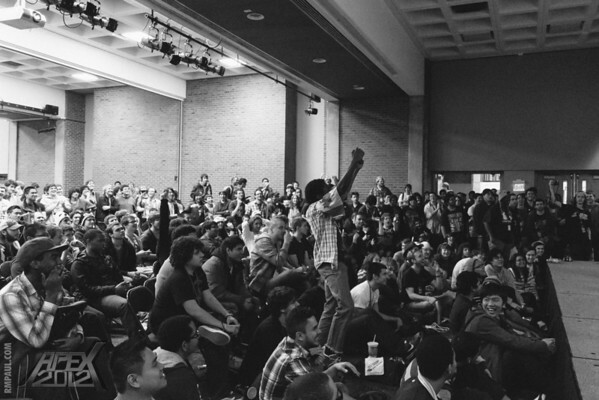 Whether these changes become concrete within the next few months or not remains to be seen, but what we do know is this – the Melee community has been around for around ten years and will do anything to keep itself alive. And the Brawl community will do whatever it takes to grow and avoid becoming stale, and the American Brawlers specifically will pay any cost to take out the Japanese on their home turf. With that in mind, the games we play competitively may be drastically different in the next year or even in less time. And not many are completely sure if the routes being taken are the right ones to explore. I think after the MK ban we need to see how people play now, MK mains especially. We could see this ban turn Brawl into a camping game. Lets see how these next few tourneys play out. Lets see how everything plays out with this major change before we discuss changing rules. I agree. I want to see how the ban works out, though I definitely don't mind testing the Japanese ruleset simultaneously. Im gonna have to agree with letting the ban hold for awhile. The problem I saw when watching Brawl was far to many MK's being played as he was seen as "The Best". This is also what turned be off of SF3 a lot was the fact that there were really only 3 characters seen in finals, and you would tend to see tons of mirror matches played in bracket play (This would be Ken, Chun-Li, and Yun). This is something i think MK9 (and now SF4:AE) is doing better, there are many more quality characters that can be seen as strong to play, making the game more enjoyable to spectate. Also, one tournament result is hardly a depiction of what actually is. You have to let it play out, if the same thing continues to happen then I would see reason to repeal the ban. Blazek has a really good point. MK is known as the best which means a majority of the smash community had him as a main or secondary because he was so godlike. I expect only good things from this ban. The only bad thing I foresee is ICs turning into the new MK with there hidden chaingrabbing potential that many players depend on.